Have a favorite wreath for the holidays, but hate how it can scratch your door's finish? 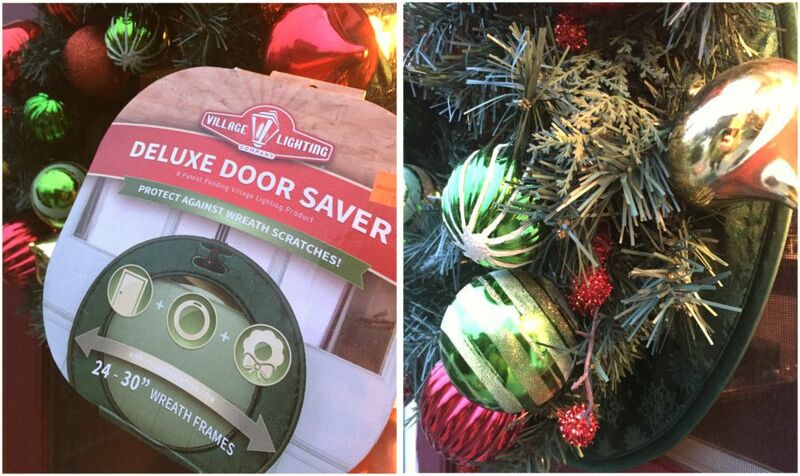 Try the new Deluxe Door Saver for Wreaths from the Village Lighting company. This simple to use pop-out padded backer is designed to fit behind both 24" and 30" wreaths on your door. The backer is looped around the wire frames of your wreath and provide a cushion to prevent scratches. It is a really simple concept, but it works and that is what makes it so great! Stop by our Christmas Department for more information on this new item. You can see just how nondescript this item is ... below.